Welcome to the elegance of the Eastpointe Country Club. Situated in Palm Beach Gardens, Florida near PGA boulevard and with access to Interstate 95, this gated club boasts amenities that are top notch, wrapped in a comfortable feeling of home. Eastpointe offers two amazing, Fazio designed golf courses, a luxurious 2800-square foot, resort-style pool and a focus on serving the community that lives there. To that end, the clubhouse offers amenities including 3 amazing card rooms to gather in and a fitness center to facilitate your health lifestyle. Click here to read more about the courses. 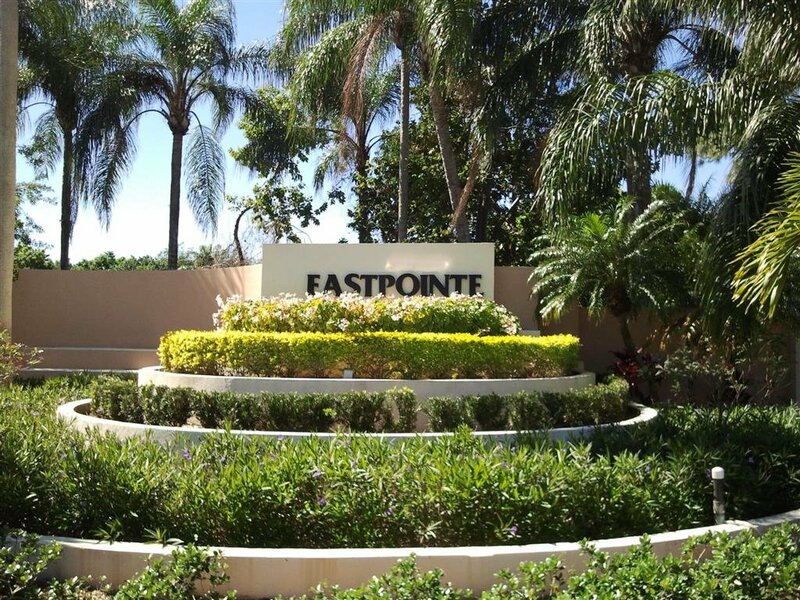 Eastpointe development started in the middle of the 1970s, with 418 acres of prime lot. There are 750 different houses to choose from. From condominium units and golf villas, to single family homes what you are seeking can be found here! The houses in Eastpointe have a touch of Old Florida and large lots. Come now and experience what the Eastpointe country club has to offer. The East Course opened for plan in 1974. It is a 7011 yard, par 72 course ready to challenge you through well placed bunkers as you soak in views of the gorgeous greens and shimmering lakes. Equally enjoyable is Eastpointe’s West Course. A par 70, 6458 yard course greets players with narrow fairways, water hazards and well bunkered green complexes. This championship course forces players to fine tune accuracy and precision. Call us today to experience all that Eastpointe has to offer you!